Karen and Jim's Excellent Adventure: Warm Welcomes Throughout the Bay! It's hard to imagine Royalty being treated any better than the reception we've had in the Bay Area. We are testing the limits of the axiom, "There's no such thing as too much fun." So many new friends and so much laughter is good for the soul, and we'll write more about our odyssey soon. In Sausalito we thought it might be fun to locate the offices of that fast-paced and fun sailing magazine Latitude 38, but then thought, geez, they're probably pretty busy and we don't want to bother them, and besides, we don't know where the office is anyway. This is one of those "Six Degrees of Separation" stories, except along the waterfront among sailors, it's never more than one degree of separation, even in a metropolitan area of two million. Here's how it happened: Jim called a greeting to a nearby scuba diver in the water, who, upon finishing his dive, brought his boat over to ours and, covered from head to toe in seaweed, introduced himself as Tim. He said, "Have you guys met LaDonna yet?" LaDonna is the Editor of Latitude 38, and we admitted we hadn't. "You gotta go over to her boat, then," he said, so we did, pleased that the "office" is a Pacific Seacraft 37 that Karen had already looked over. LaDonna and her husband Rob immediately invited us aboard for a lively conversation, and the next morning visited us aboard Sockdolager. She sure works fast, that LaDonna; an article in 'Lectronic Latitude appeared even before we had sailed the nine miles to Berkeley yesterday afternoon! You can read it here. We are going to sign up for the 2012 Puddle Jump, about which you can read here. Rob, a musician, noticed our boat guitar. There is a jam session in our future. 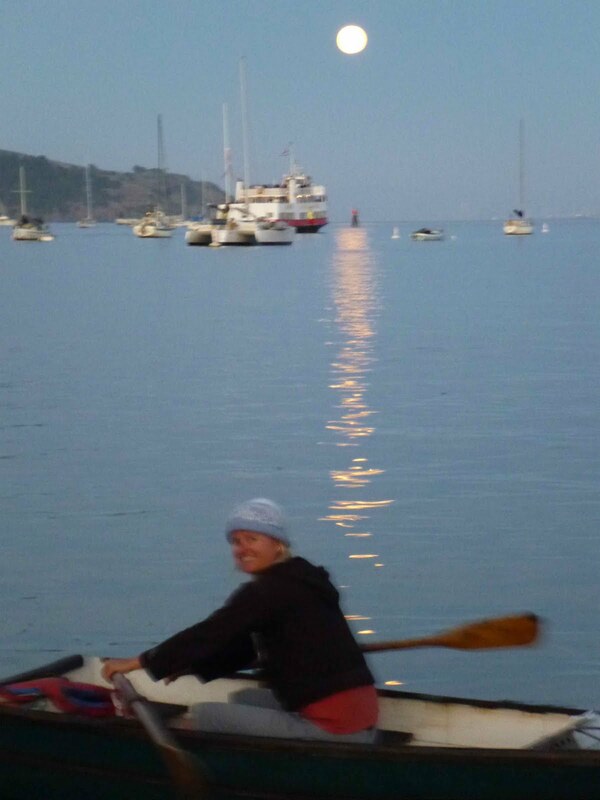 We plan to stop back in Sausalito before leaving the Bay Area. Since arriving in Berkeley, we've been happily engulfed in a whirlwind of socializing. Seven new friends in two days! It's also amazing how many Dana 24 owners there are, but most especially how much they cherish and sail the living daylights out of these mighty little boats. Go visit my friend Ed Shirk, sailing buddy from 20 yrs ago and now harbormaster @ berkeley marina! Just wanted to say hello. We have enjoyed following along when we can. As we have begun cruising full time, we feel that the six degrees of seperation is now some what reduced to more like four!! We are currently in Bodega bay, waiting out the nasty weather. we will head to San Francisco around the weekend, and who know...it's that seperation thing again. Alex: Tried to find Ed, but he was everywhere we weren't, dagnabit. Tom & Jeanne: Hello back! We saw your writeup on your passage from Port Angeles to Eureka. It's a jungle out there! Take care, and we hope to meet up with you one of these days.